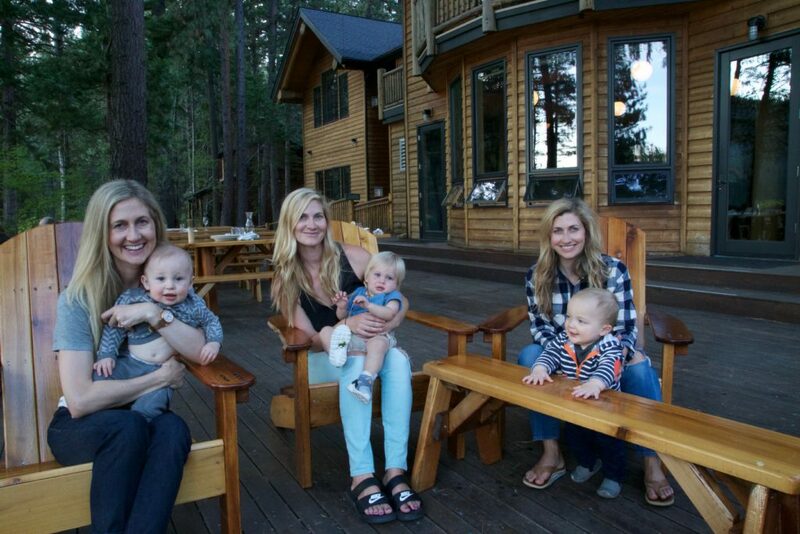 During a recent trip to Bend, my sisters and I decided to sneak away for a night at The Suttle Lodge along with our husbands and babies. After hearing the restaurant served fish and chips as a sandwich, it was on my to do list. 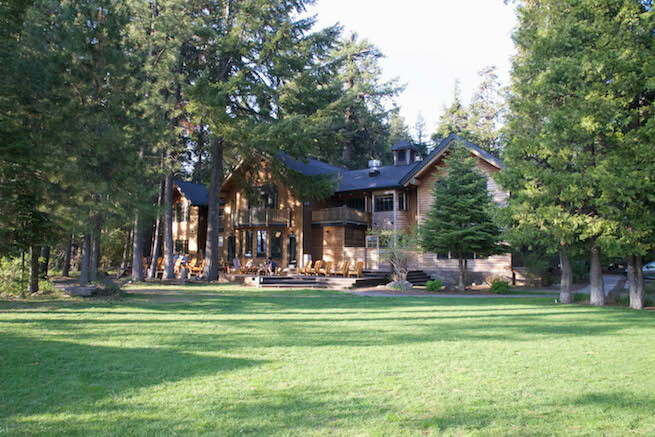 The lodge in the Deschutes National Forest is located near Sisters and was reopened by the same group behind the Ace Hotel in Portland in September 2016. When we arrived, this was apparent in some ways: the canvas navy bean bag-style chairs in the lobby, monogramed wool blankets in the guestrooms and the cocktail bar in the lobby that made a perfect whiskey sour, but not in others. It seemed woefully understaffed for the amount of people who kept coming through the door in search of a drink and dinner. We stayed there on a Monday night and I was disappointed to find out the Boathouse, the restaurant right on the water, would not be open. I was pleasantly surprised, however, when the person at the check in desk upgraded our room. 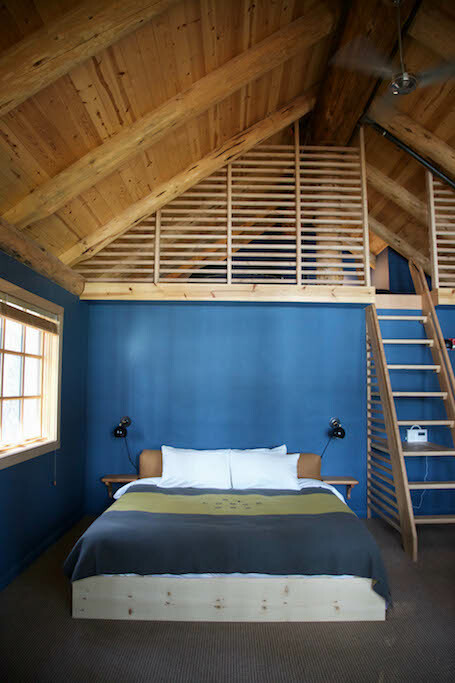 It was a loft with a king bed and two twins upstairs with a view of the lake, a seating area and a fireplace. 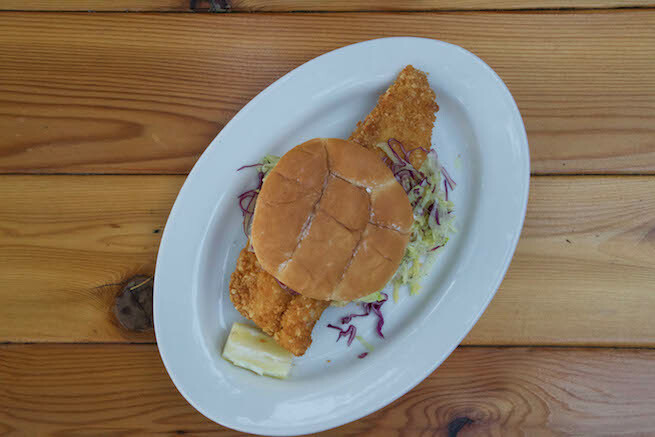 The fish & chip sandwich is a must order. After taking time to get settled, we joined our group outside on the grass. It was a balmy evening and the babies played on a large blanket while we took photos and sipped cocktails and cold beer. As the sun set, bathing everything in a rose gold hue, the mosquitos came out and we decided it was best to move inside for dinner. The pub food the lodge served was excellent. The fish and chip sandwich, trout battered and fried in crushed potato chips and served with tartar sauce, coleslaw and pickles was messy but delicious as was the charcuterie plate with gourmet meats and cheeses and marionberry compote. 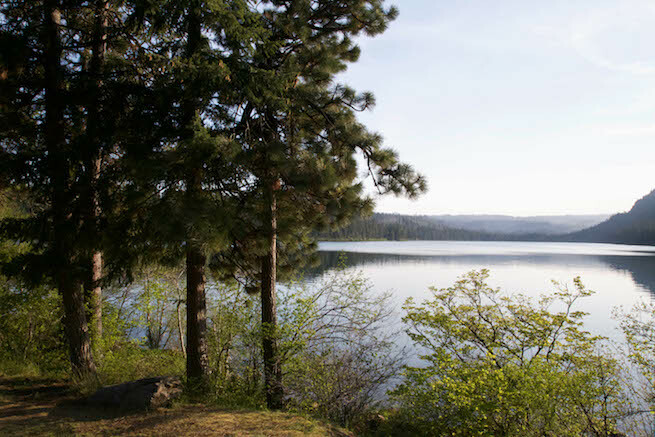 Golden hour on Suttle Lake. The hotel has a wonderful DVD library. We perused the selection before settling on Uncle Buck. After putting the babies to bed, we took a bottle of Pinot Noir to the game room and popped in the movie. We seemed to be the only group staying the night at the lodge. Turns out staying midweek during shoulder season has its upsides. The Boathouse restaurant is open every day of the week during the summer season. My sisters and I, and our sons, on the patio. Bottom Line: Stunning natural setting and good rustic fare. They’re still working out some staffing kinks. Kid Friendly? Very. There’s a big lawn for kids and babies to play on, rooms are spacious and the staff was very friendly to the babies. Rustic cabins start at just $113 a night. Grade: B+, could definitely improve if they work out the staffing issues.